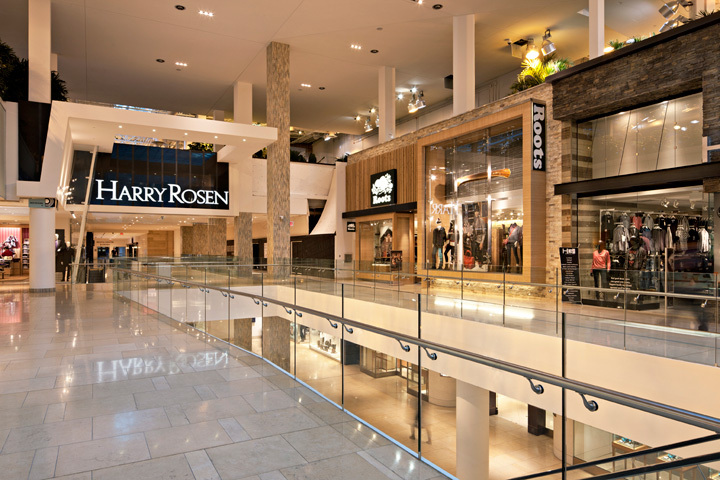 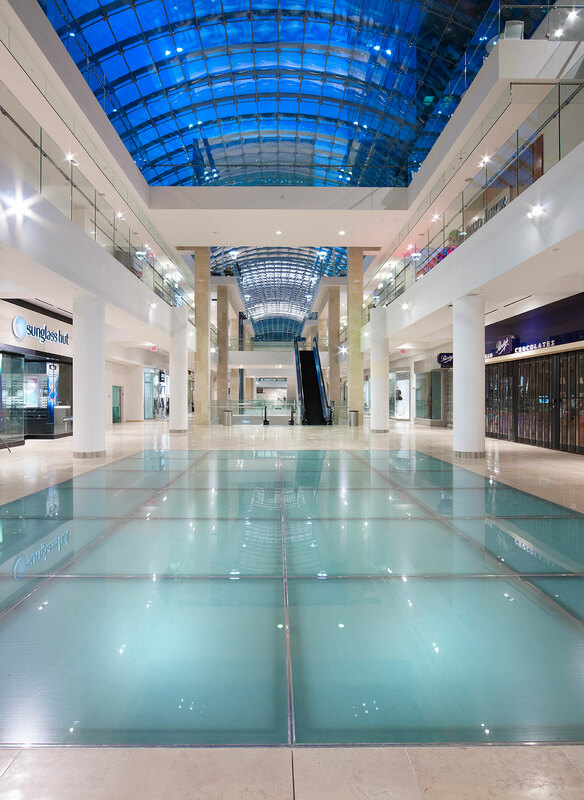 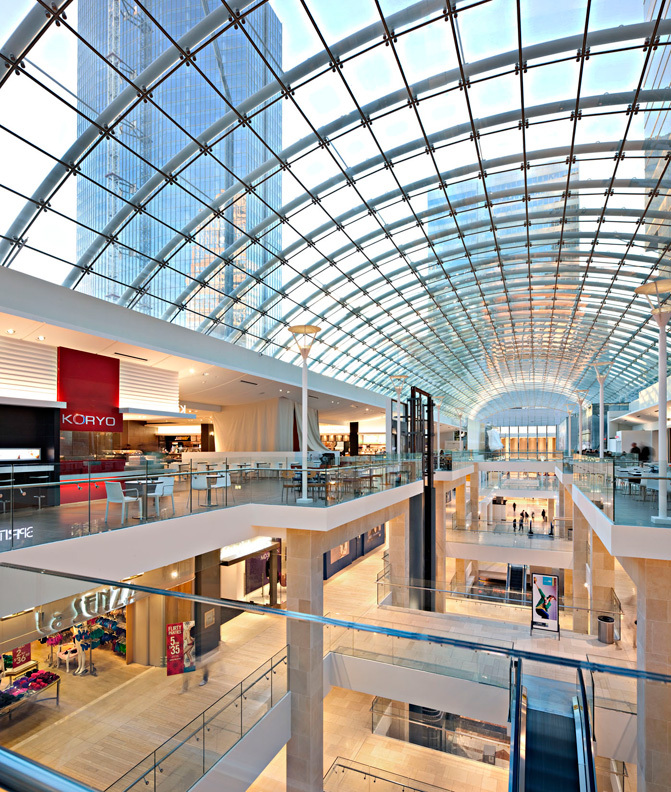 To completely revitalize the shopping experience in Calgary’s central business district, creating a single, integrated multi-use complex from three previously disjointed properties under a canopy of structural glass. 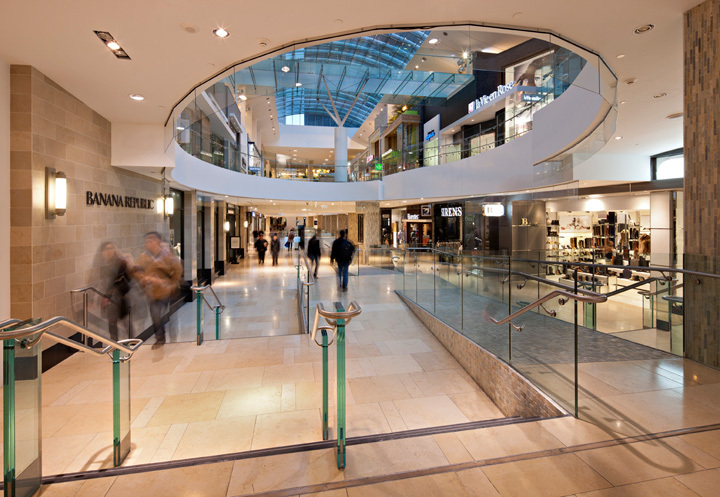 The CORE is a departure from conventional shopping centres – it is a hybrid between traditional architecture expected of a mall and high street shopping. 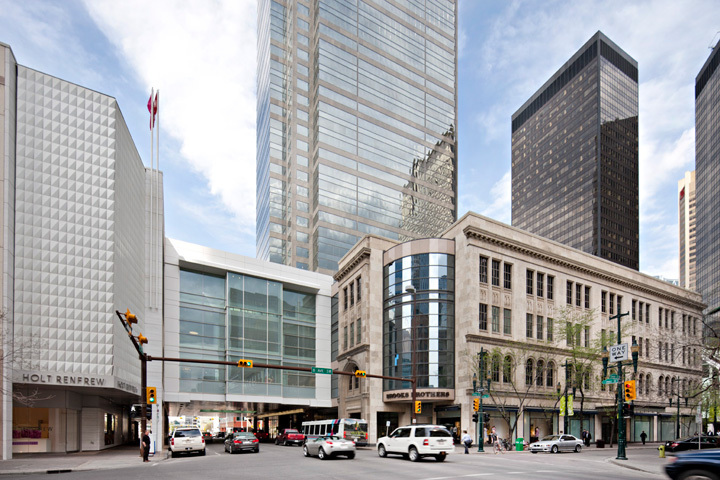 Located in Calgary’s central business district, the CORE is an ambitious urban renewal project consisting of the redevelopment of three previously disjointed properties into a single multi-use complex. 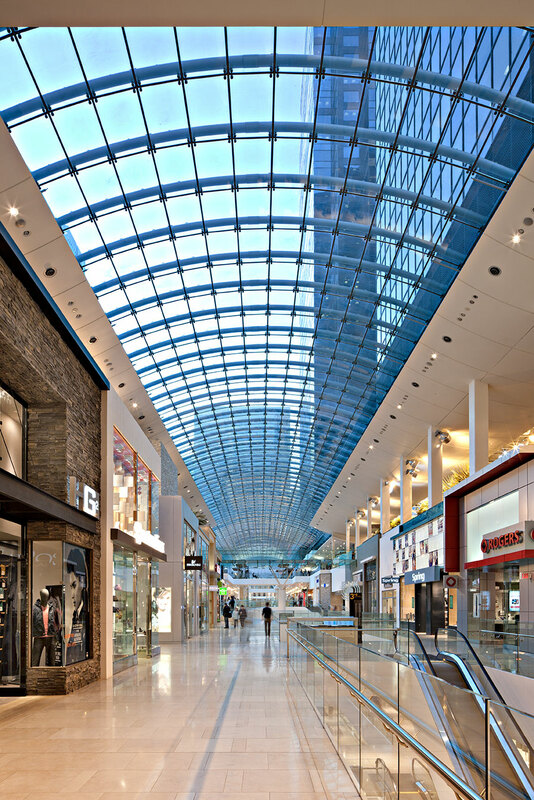 Under a canopy of structural glass, the largest of its kind in North America (90 ft x 660 ft), visitors relish a vibrant streetscape experience. 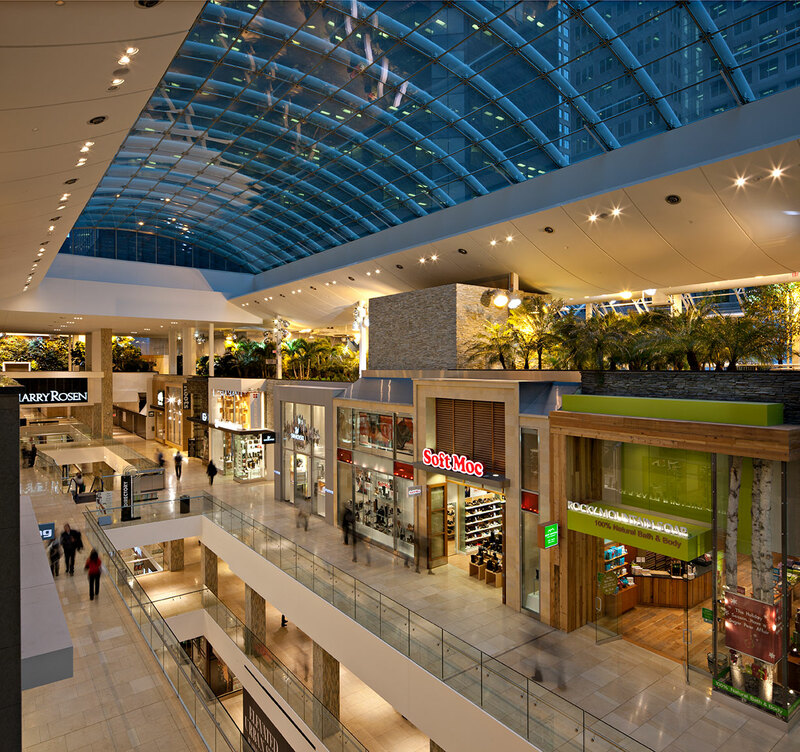 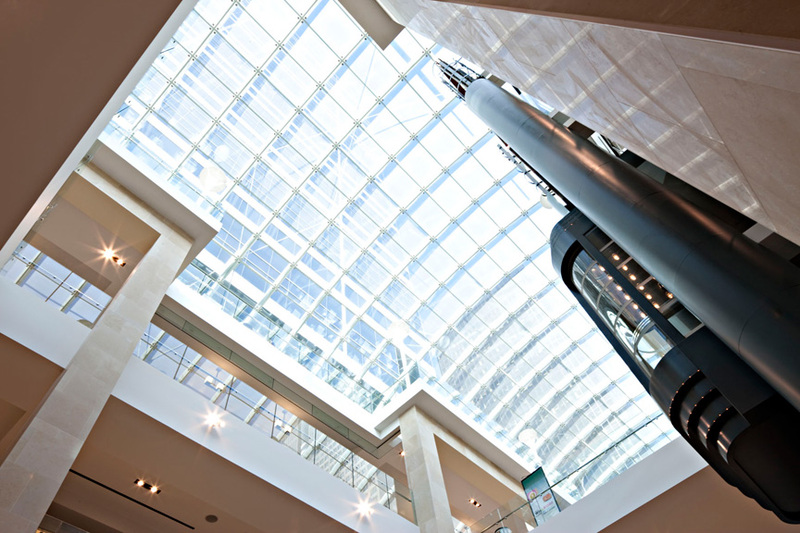 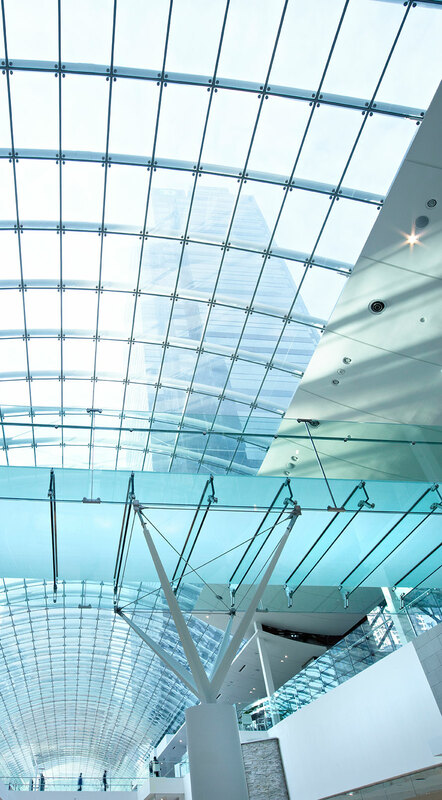 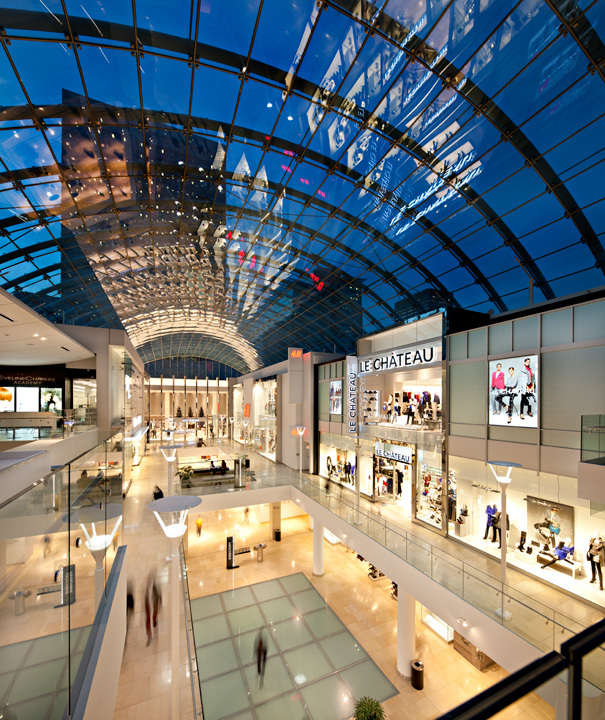 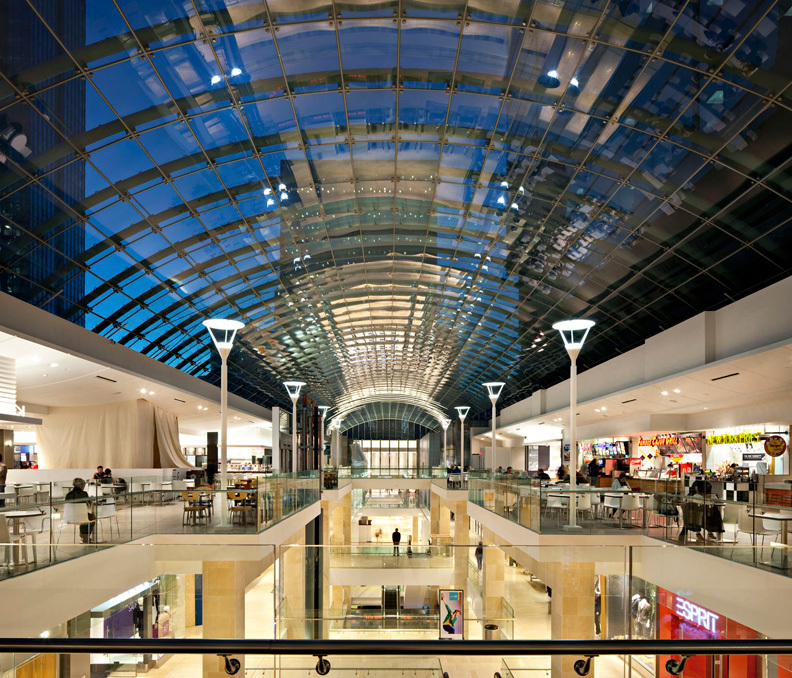 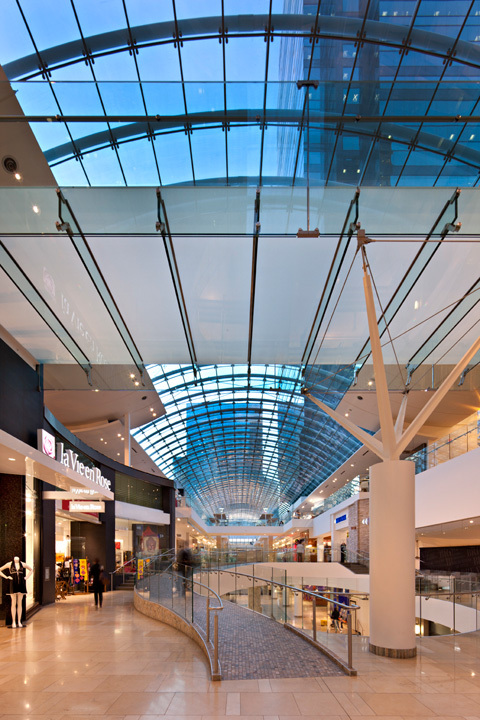 The expansive glass roof emulates outdoor plazas, distinguishing itself with high street retail energy. 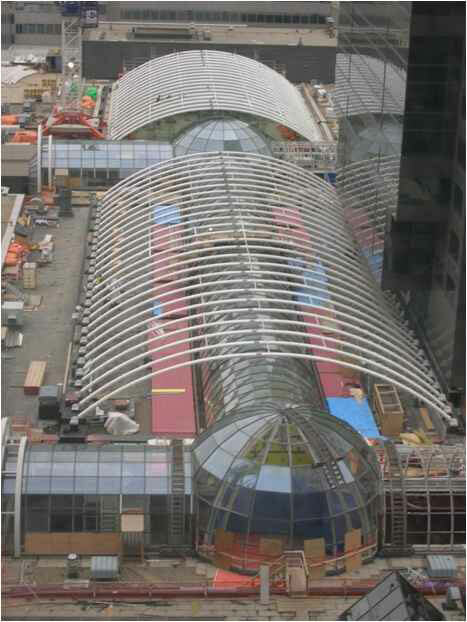 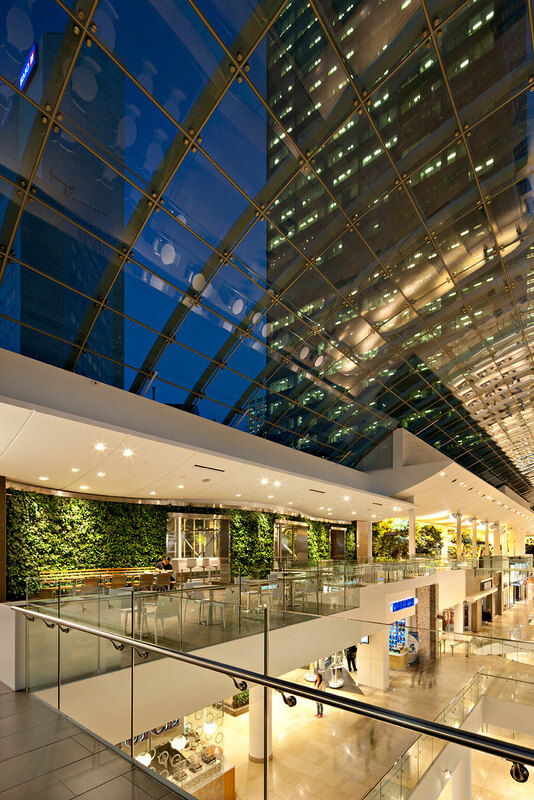 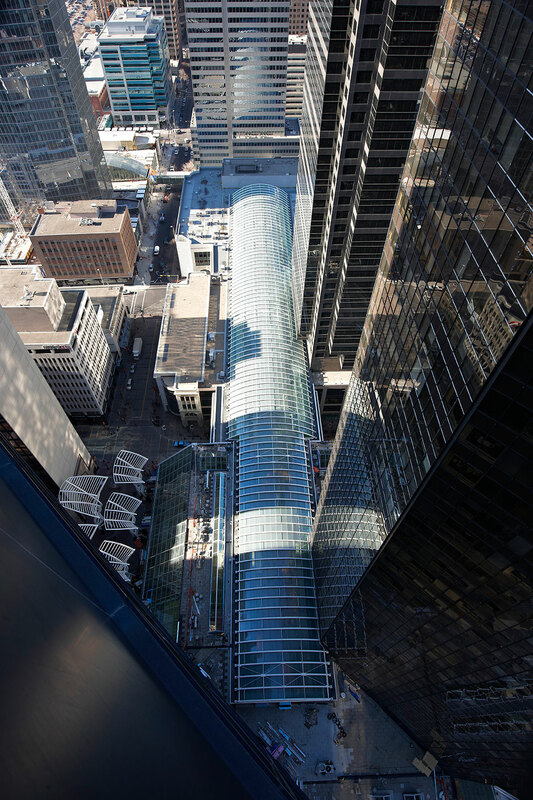 An urban retail streetscape was created within TD Square by the removal of large swath of the Devonian Garden floor slab, allowing the 1.5-storey storefronts to soar vertically and to view the build-up of the storefronts from the levels below. 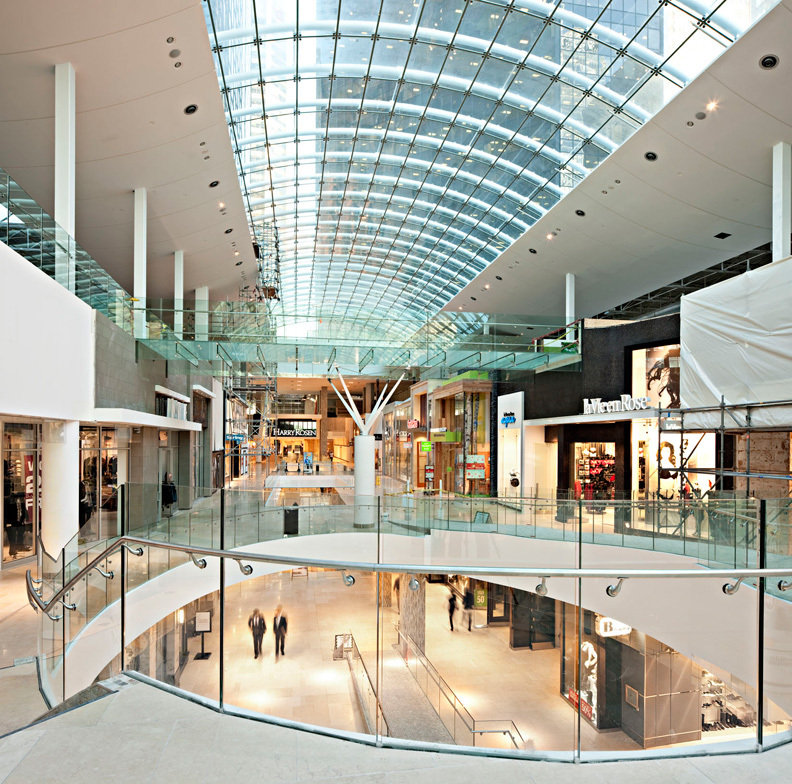 Escalators that were closing off sightlines were replaced by new escalators oriented parallel to the storefronts. 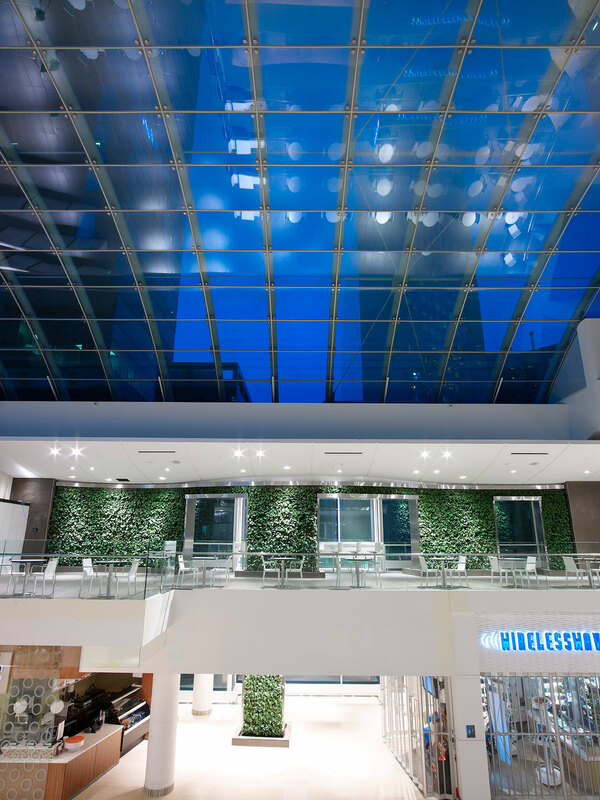 In addition, the wall openings allow natural light to cascade down to the lower level. 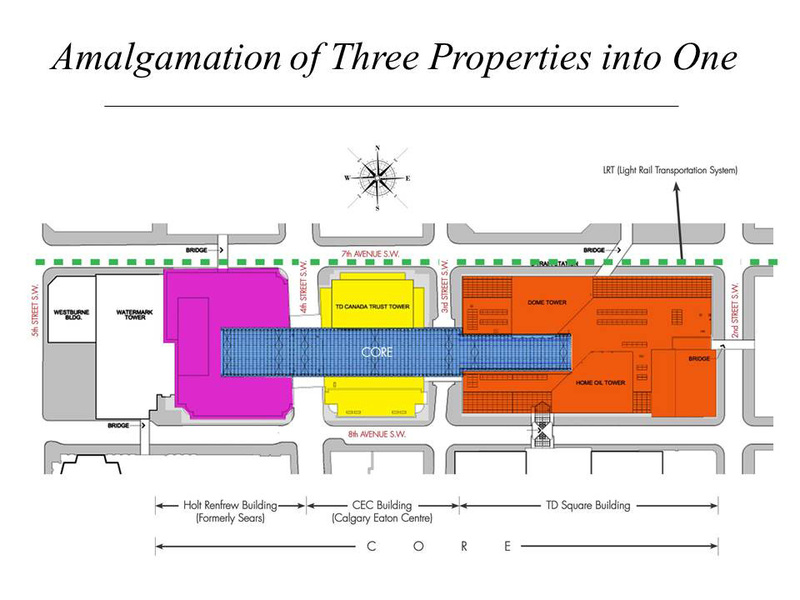 The redevelopment presented the opportunity to expand the food court and optimize the vacant space to the south of the building. 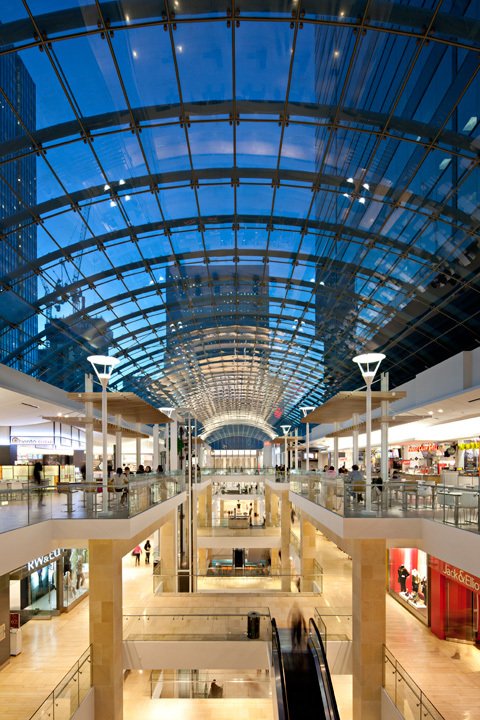 The food court grew from 10 to 16 tenants enabling a greater food assortment to the area’s office workers. 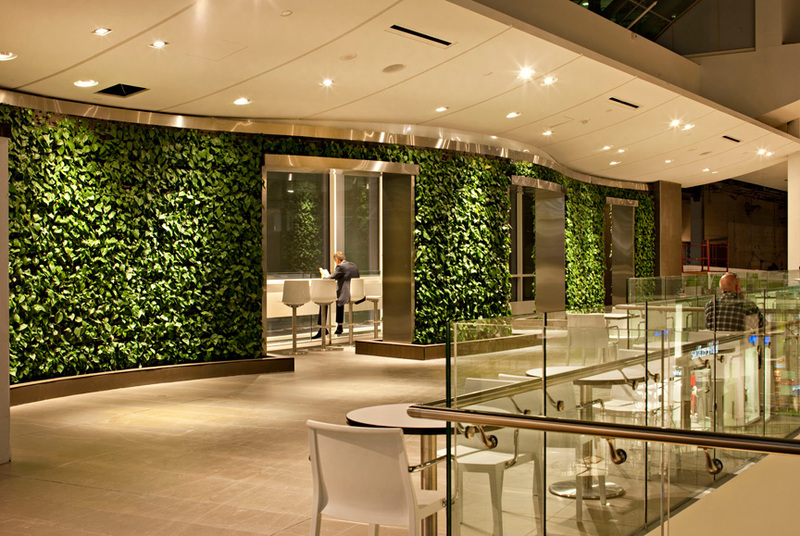 Between the food court and the Devonian Gardens, two undulating green living walls on the north and south sides of the property act as a natural transition between the two.